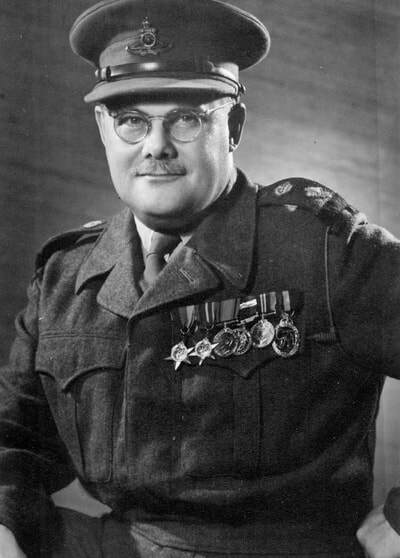 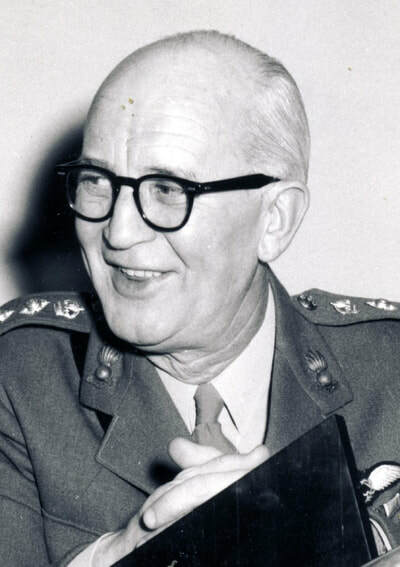 Lieutenant-Colonel H.W.J. 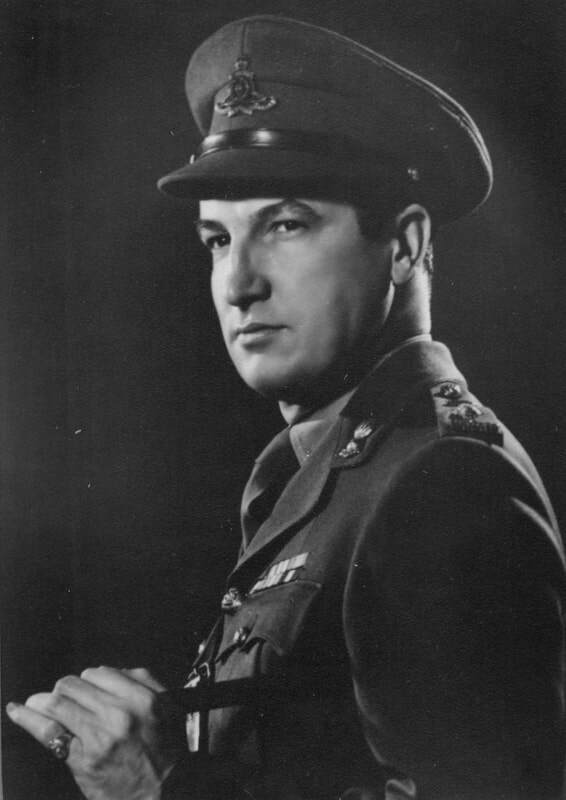 Peck is appointed Commanding Officer. 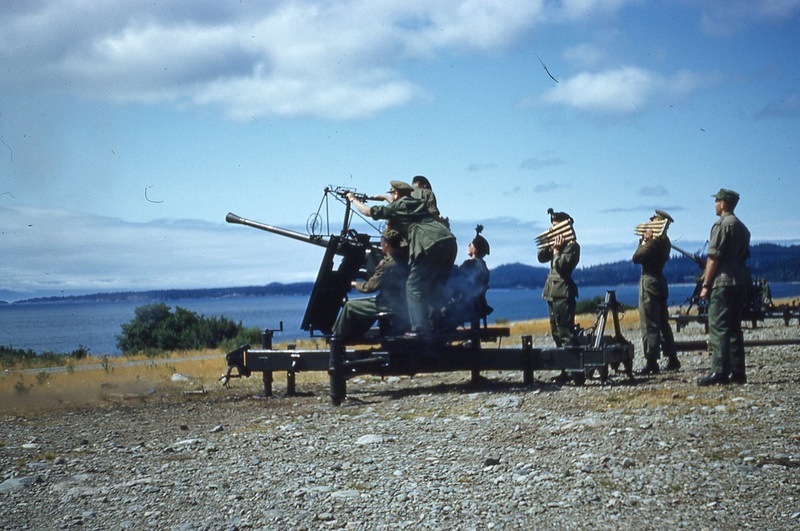 Searchlight Belmont on 25 June 1952 and the searchlight in Albert Head the following month. 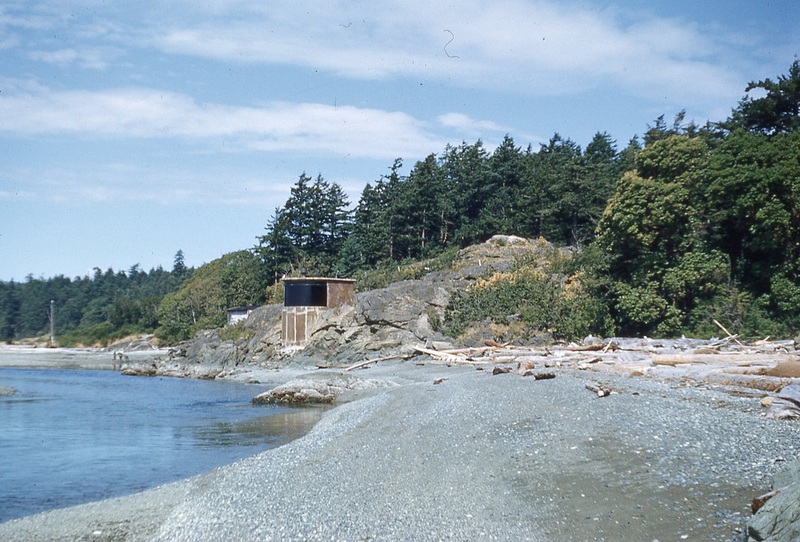 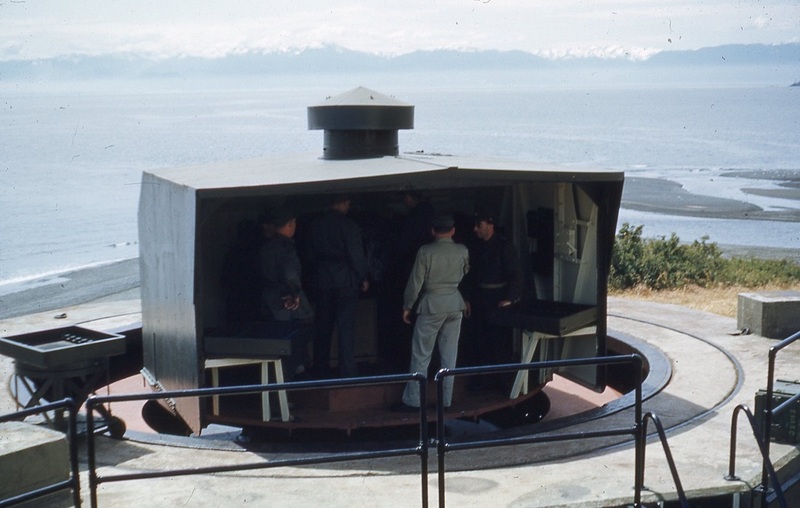 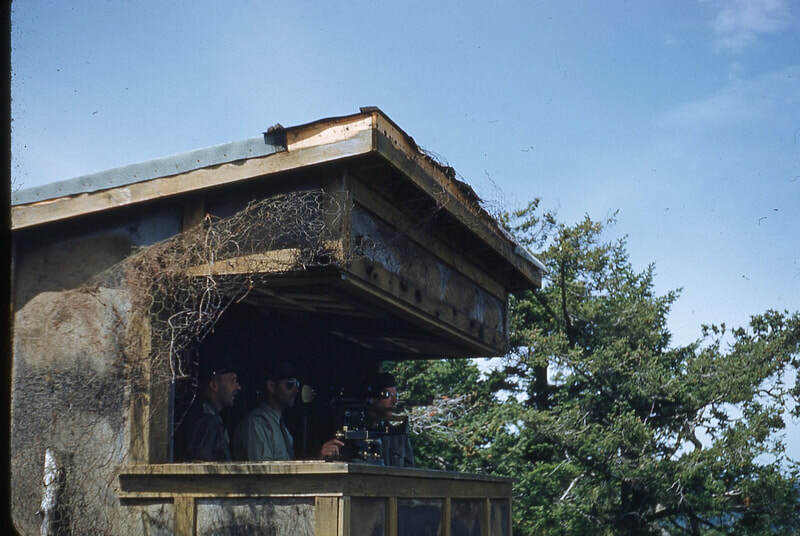 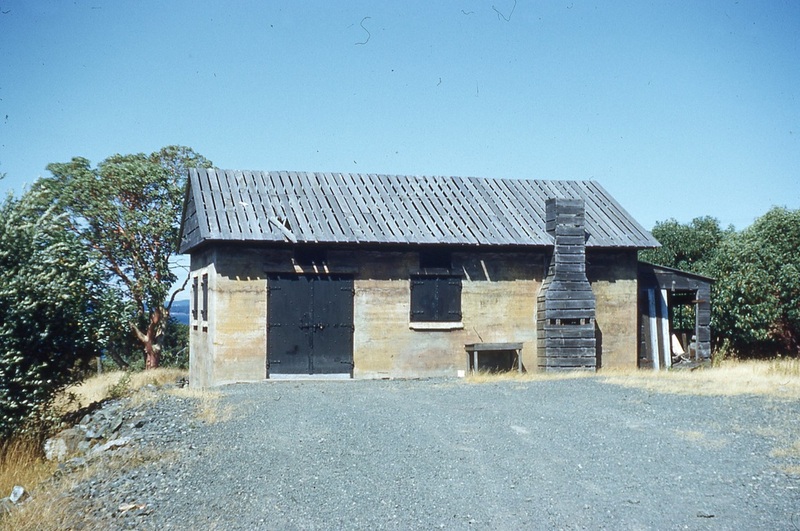 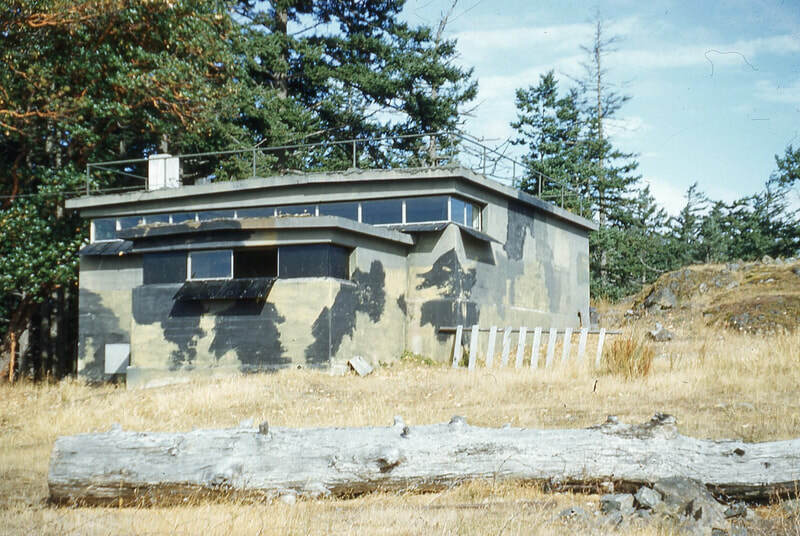 The Mary Hill Battery Observation Post (BOP) in June of 1952 and the BOP in Albert Head in July. 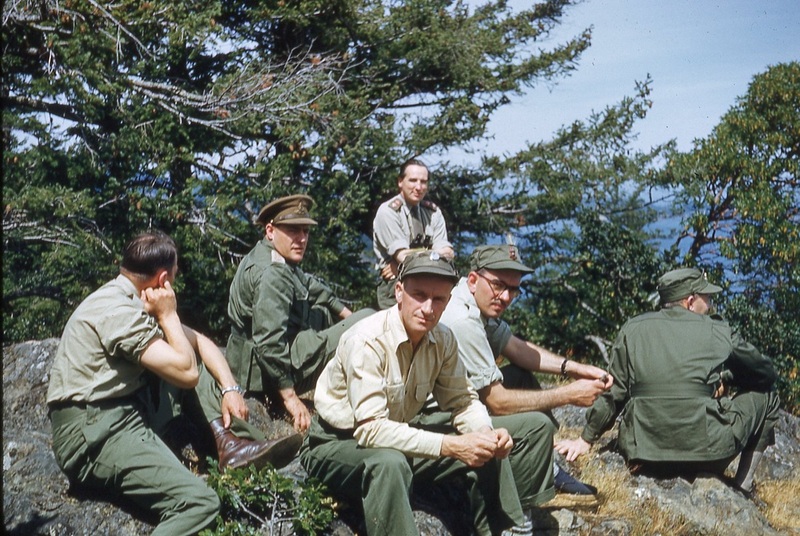 ​The Officers from June of 1952. 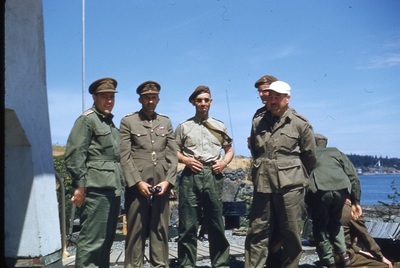 I see the Commanding Officer, Lieutenant-Colonel Peck in the centre of the photograph but I could use some help in identifying any of the others. 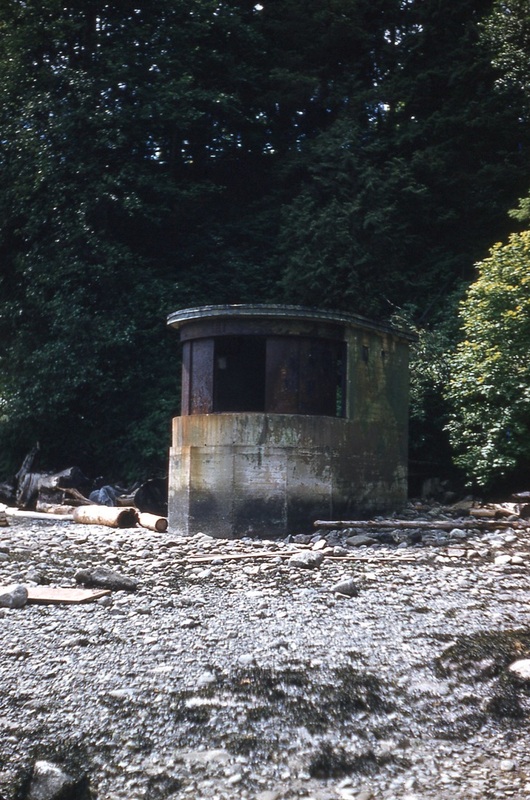 The slide is labelled Quick Firing 6 Pounder Twin Belmont followed by the Albert Head searchlight engine room. 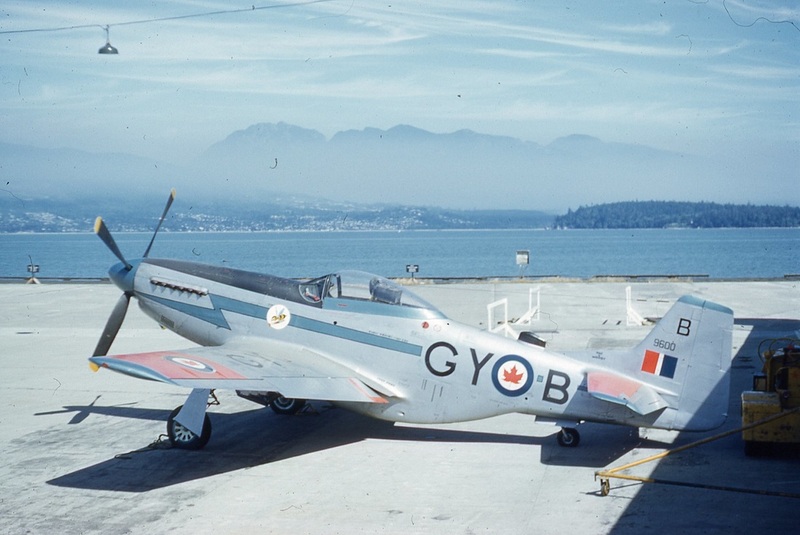 A Mustang from September 1952 possibly parked at the 102nd Coast Regiment location at Jericho. 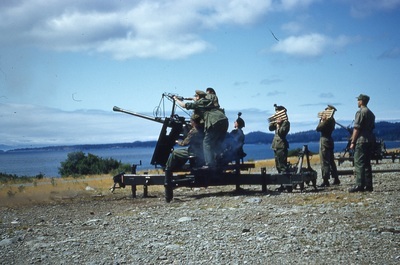 This may possibly be the Irish Fusiliers firing 40mm anti-aircraft at Albert in July 1952. They must have been training in the same location. 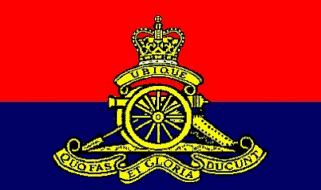 Despite their artillery heritage, the Irish Fusiliers were never in the lineage of the 15th Field Artillery Regiment, RCA - ed. 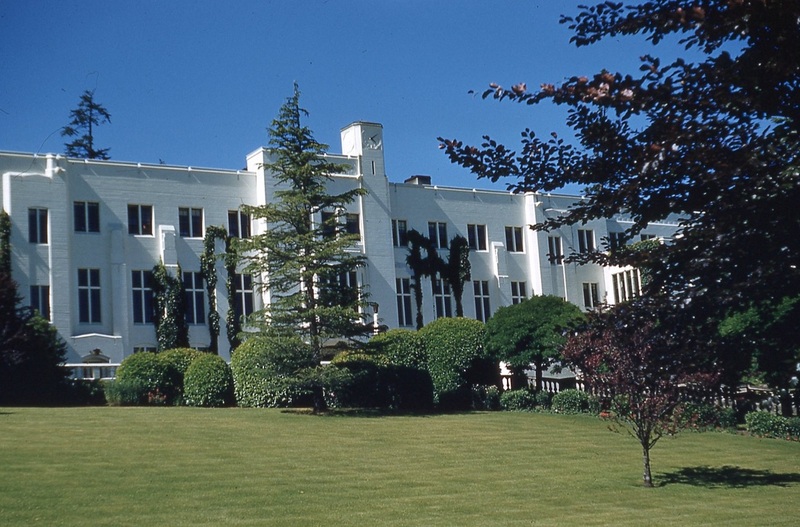 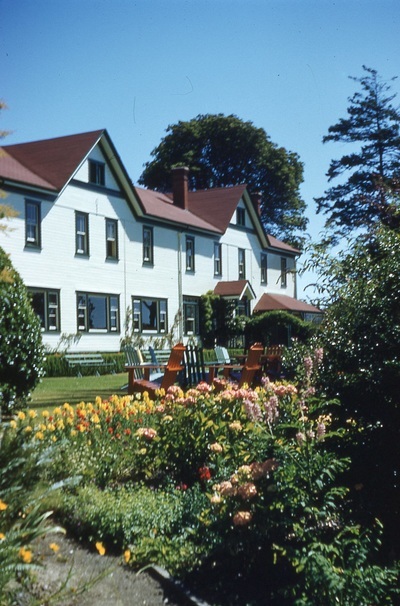 Royal Roads and the Officers' Mess, Work Point Barracks in July of 1952. 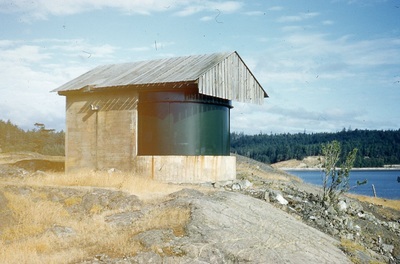 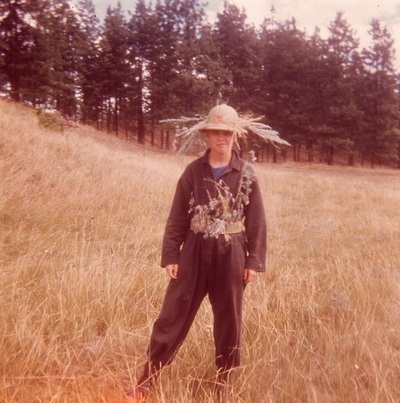 These last two photographs were in the same slide holder but had no markings to indicate their origin.